Russian cosmonauts Oleg Kononenko and Sergey Prokopyev headed outside the International Space Station on Tuesday to cut away thermal and orbital debris shielding from a Russian Soyuz spacecraft and inspect the ship’s hull, where the station crew repaired a minor air leak in August. Wearing Russian Orlan spacesuits, Kononenko and Prokopyev opened the hatch to the Pirs airlock at 10:59 a.m. EST (1559 GMT) to officially begin the excursion, the 213th spacewalk since 1998 in support of space station assembly and maintenance. The spacewalk is expected to last around six hours. The inspection planned on Tuesday’s spacewalk will include photo documentation of the site, and the collection of samples from any epoxy sealant that may be seeped through the hole to the outside of the Soyuz MS-09 spacecraft, before the capsule undocks Dec. 19 with Prokopyev, outgoing station commander Alexander Gerst, and NASA astronaut Serena Auñón-Chancellor. The trio will target a landing in Kazakhstan on Dec. 20 aboard the Soyuz MS-09 descent module. 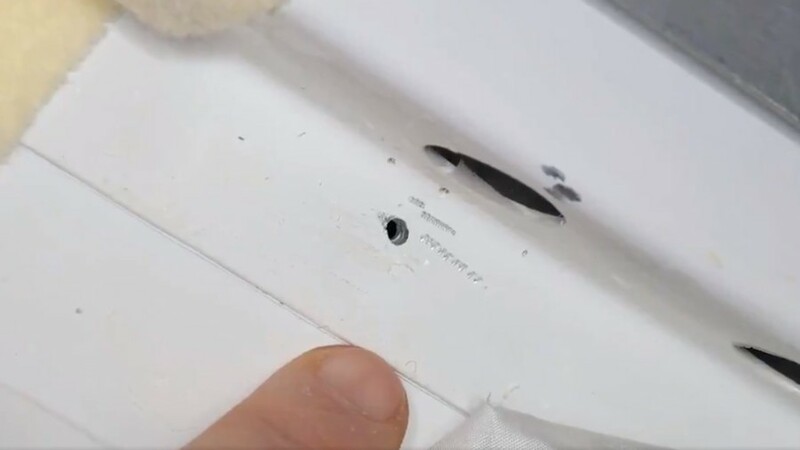 Flight controllers detected small drop in the station’s internal air pressure Aug. 29, and crew members traced the leak to a small, 2-millimeter (0.08-inch) hole inside the Soyuz MS-09 spacecraft’s habitation module, the forward-most of three sections of the Soyuz ferry craft. 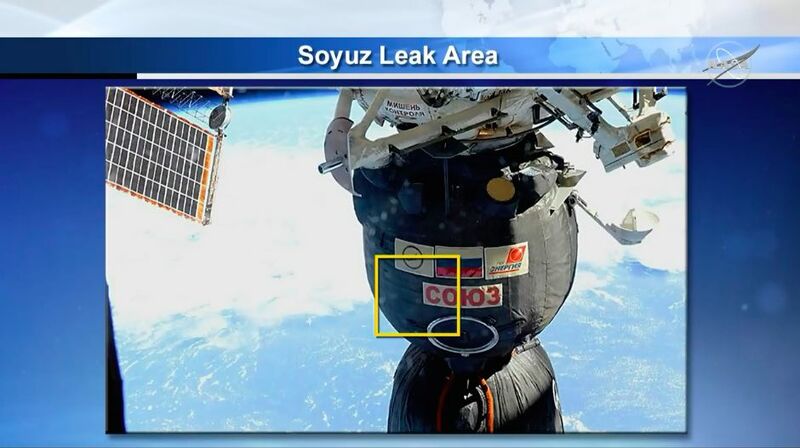 Prokopyev plugged the hole with gauze and epoxy sealant, and the station’s air pressure stabilized. Ground controllers repressurized the station’s atmosphere back to normal levels, and have detected no unexpected pressure changes since the hole repair. The Soyuz habitation module is designed to burn up during re-entry, after the Soyuz spacecraft fires its engines for a de-orbit braking burn to aim for landing in Kazakhstan. Unlike the descent module, where the crew is seated during launch and landing, the habitation section does not carry at heat shield. Pyrotechnic separation mechanisms are programmed to fire just after the Soyuz completes its re-entry maneuver, separating the spacecraft’s forward habitation section, middle descent module and rear service module. Only the descent section is designed to survive the scorching temperatures of re-entry back into Earth’s atmosphere. If necessary, the habitation module can be sealed off once the crew boards the Soyuz spacecraft for their homecoming planned next week, eliminating any effect on the crew members in the landing module should the leak recur. Sam Scimemi, space station program director at NASA Headquarters, told an agency advisory committee Dec. 6 that the the Russian-led investigation into the cause of the hole — and the air leak — remains ongoing. Roscosmos chief Dmitry Rogozin suggested in early September that the hold could have either been drilled accidentally, or in a “deliberate” act on Earth or in space. Drew Feustel, commander of the space station at the time, flatly denied the crew was involved in drilling the hole. “I can unequivocally say that the crew had nothing to do with this on orbit, without a doubt, and I think it’s actually a shame and somewhat embarrassing that anybody is wasting any time talking about something that the crew was involved in,” Feustel said Sept. 11 in a space-to-ground interview with ABC News. Rogozin has since backed off such assertions, but the inquiry into how the hole was drilled remains open. Nevertheless, officials from Roscosmos and NASA concluded the Soyuz MS-09 spacecraft is safe to bring home Prokopyev, Gerst and Auñón-Chancellor next week, with landing on the Kazakh steppe set for 12:03 a.m. EST (0503 GMT; 11:03 a.m. Kazakhstan time) on Dec. 20. Scimemi said the hole was discussed in “great detail” at a recent readiness review, where officials approved plans to bring the Soyuz MS-09 spacecraft back to Earth. 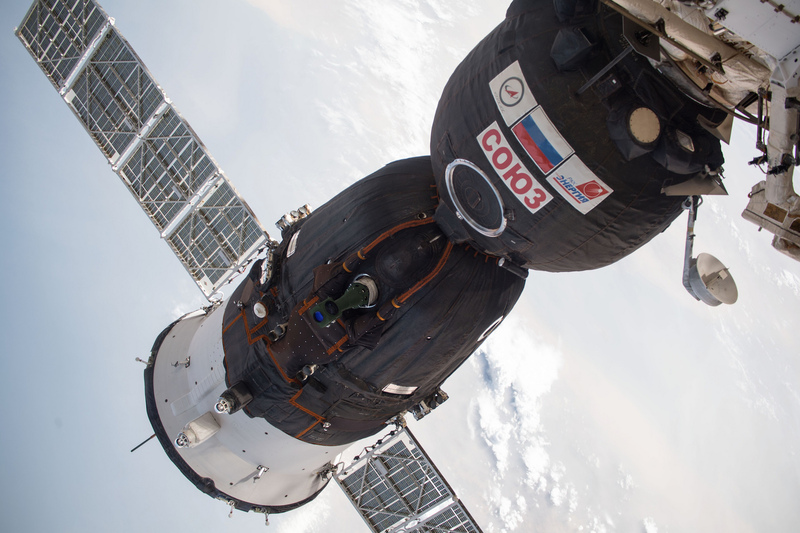 The Soyuz MS-09 spacecraft launched in June with Prokopyev, Gerst and Auñón-Chancellor. Their mission was extended several weeks in a schedule shuffling following the Oct. 11 aborted launch of two new station crew members — Russian cosmonaut Alexey Ovchinin and NASA flight engineer Nick Hague. Gerst’s crew was joined Dec. 3 by Kononenko, NASA astronaut Anne McClain and Canadian Space Agency flight engineer David Saint-Jacques. On Tuesday’s excursion, Kononenko and Prokopyev will move from the Pirs airlock to the Soyuz MS-09 spacecraft using a pair of Strela booms, crane-like extensions designed to move spacewalkers and equipment to different parts of the Russian segment of the station. Mounted in a foot restraint on one of the Strela booms, Kononenko will use knives and other cutting tools to slice into insulation and orbital debris shielding outside the Soyuz MS-09 habitation module. Kononenko will collect samples from the leak area and take photos for analysis by engineers on the ground, then cover the area again with thermal blankets. “They’re not expecting a hole anywhere (on the outside) because the hole is filled … They’re inspecting, is there any other damage out there possibly? The technique that we used, we used a gauze that was stuck in the hole first, and then put an epoxy into that. I think they want to take a look at how far does that epoxy go back out?” Scimemi said. “They’re going to have to remove the thermal insulation. That’s what they’ll be doing. Theres not only insulation, there’s MMOD (micrometeoroid and orbital debris) shielding as well … It’s a big deal,” Scimemi said. If they have time, the Russian spacewalkers will also retrieve equipment from two experiments outside the station. Tuesday’s spacewalk comes amid a busy period for the space station, following last week’s arrival of Kononenko’s crew aboard the Soyuz MS-11 spacecraft, and Saturday’s delivery of nearly 3 tons of fresh supplies and experiments on a SpaceX Dragon cargo craft. The berthing of the Dragon supply ship Saturday added a sixth visiting vehicle to the space station, a list that currently includes the newly-arrived Dragon, a Northrop Grumman Cygnus cargo carrier, two Soyuz crew ships, and a pair of Russian Progress resupply and refueling freighters.